When While She Sleeps announced that they were working on their third studio album, and revealed the process in which they'd be going about doing it, you instantly just knew something special was coming. 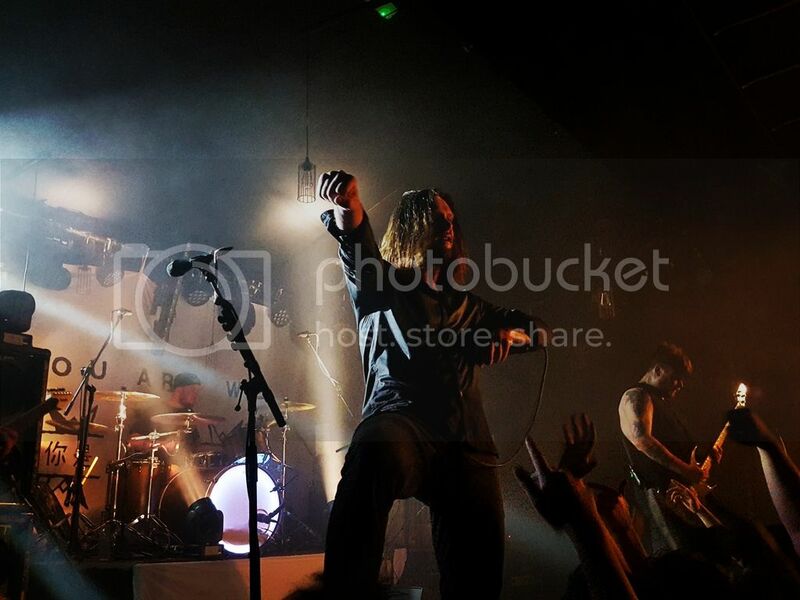 The reaction to You Are We has largely been hugely positive with there being a genuine sense that this is While She Sleeps' moment to truly shine. On the weekend the new record was released we headed down to Tufnell Park for their huge duo of headlining shows at The Dome. Prior to the show, in the pubs close to the venue and in the surrounding area there was a genuine buzz elevated beyond what you'd perhaps experience at most shows. This of course continued on inside, In Hearts Wake and Fizzy Blood did a good job warming everybody up but the anticipation for the main event had truly reached fever pitch as the intro tape for You Are We thundered across the venue. As that first roar of "YOU ARE WE" exploded from both the band and crowd alike, there was an instant sense that you were part of a very special moment indeed. The monumental reaction from the crowd for each of the tracks off the new record was certainly impressive, from Civil Isolation all the way through to Feel each was met with same level of chaos as their older material. None more so than Silence Speaks though. THAT is a track which needs to be in every While She Sleeps set-list from now until they call it a day. The second night was treated to a bit of Oli Sykes, but even without his surprise inclusion on the first night the crowd participation was absolutely gigantic. Alongside the new material the band of course rattled through some of the old crowd favourites, Brainwashed alone nearly caused Tufnell Park station to be closed for another year while This Is The Six as ever tested the venue's foundations. Loz's stage presence remains dominating and the band sound as tight as they ever have done. Overall then, it is a very exciting time to be a heavy music fan at the moment and While She Sleeps are certainly helping lead the charge. As ever the band have taken their tracks and bolstered them in the live arena, making each sound even more raw and aggressive than on record. Brilliant.